Become a Bruin Abroad! Study Abroad prepares you to be a global citizen, engaged learner, and scholar. Through integrating classroom and community-based experiential learning, you will gain an understanding of the diverse global environments and cultures around us. Gain an understanding and appreciation of human differences, develop language skills, dive into service or undergraduate research and/or study global literature through international travel. Check out our Study Abroad programs! Check out some stories from fellow Bruins who have studied abroad! After graduating from Salt Lake Community College in 2016, I knew that I really needed to do something about my ballet training if I wanted to reach my goal of becoming a professional dancer. I knew just what I wanted to do. With my one year of Russian language behind me, I dreamed of going to Russia to get the world class ballet training that they offer there. Most ballet dancers know that Russia is the ballet capital of the world, and the ballet training there is unparalleled. It is a ballerina’s dream come true to be able to study at one of the high caliber schools in Russia. So, I decided to check out Russian ballet trainee study abroad programs online. It quickly became obvious to me that studying ballet abroad is a rarity. But, I didn’t give up hope. I decided to search using Russian Google where I finally found a ballet trainee program at the School of Classical Ballet in St. Petersburg, Russia. Although I really wanted to apply, I didn’t know how I would be able to afford to go. I took a leap of faith and applied anyway. I quickly started looking online for study abroad scholarships and I found out about the Gilman Scholarship – a grant program for students with limited financial means. I applied for the scholarship, and was later notified that I had been chosen as a recipient! And, I was accepted to the school in St. Petersburg! 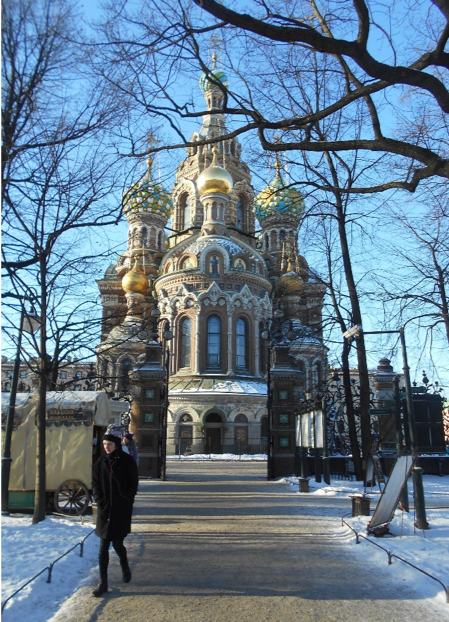 I left for St. Petersburg in the fall of 2017. The school I attended in St. Petersburg found a Russian family for me to live with who had four children of their own. Their daughter also studied ballet. Living with the family helped me to learn more about Russian culture, and helped me improve my Russian. Being in a new country and new surroundings, I found it a little tricky at first trying to figure out how to get around and trying to communicate with other people, having only basic Russian skills, but I quickly adapted. I rode the bus daily to the school where I spent several hours a day in ballet classes. I also took ballet master classes and private lessons with well-known ballet pedagogues while I was there. One of the highlights of my experience in Russia was being able to attend ballet performances at the Mariinsky Theatre and Mikhailovsky Theatre. Watching the professional Russian ballet dancers live was a true delight. 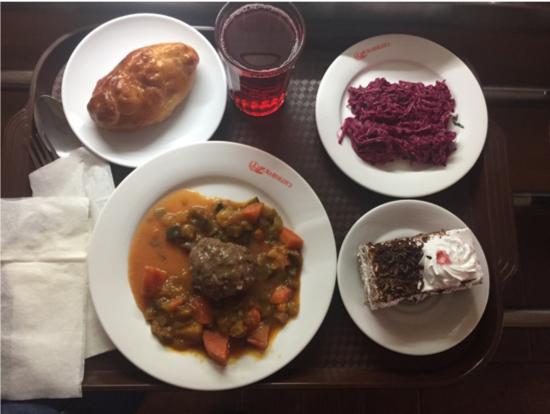 Not only did I enjoy the ballet in Russia, but I also loved the food. There were many dishes that I had never eaten before. I especially loved the borsch and pelmeni! My time in Russia was truly a once in a lifetime experience. Not only was I able to work towards my academic and career goals, but I fell in love with the county and the people. I also gained more self-confidence and a feeling that I can do anything I set my mind to do. 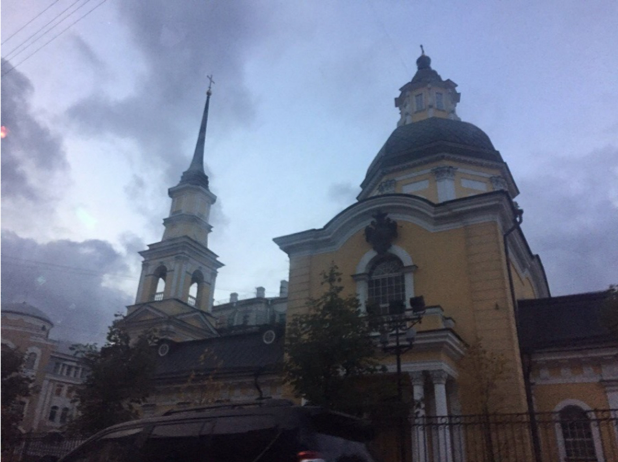 Being a recipient of the Gilman Scholarship, and being able to use my financial aid to study abroad enabled me to be able to have my unique experience in Russia. Community College students are eligible to apply for the Gilman Scholarship, so I would urge everyone who is thinking about studying or interning abroad to check out the Gilman website and talk to a study abroad advisor. If it is something you want to do, you can make it happen!